Good Morning and Welcome Back to Stamping Peace! Hope everyone had a great April School Vacation Week. 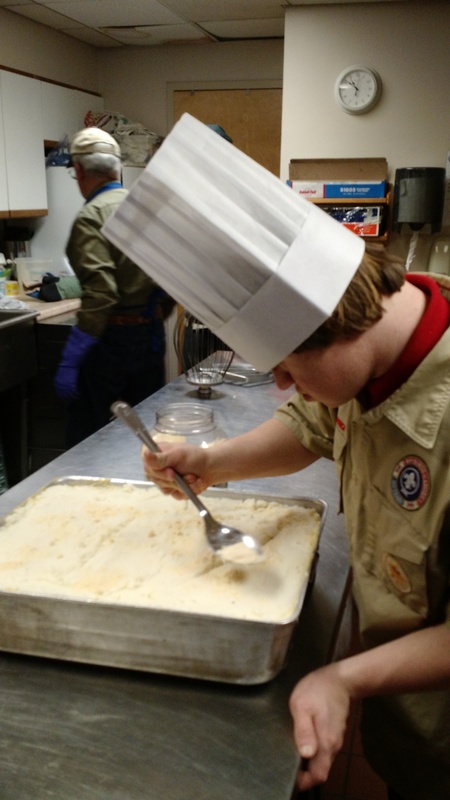 We were busy cooking all week…Joseph cooked eight meals (one more to go!) for his Cooking Merit Badge for Boy Scouts. He served a meal at the Salvation Army and says he wants to go back to “the restaurant.” : ) What did you think of the snow on Friday morning? Hopefully that was the end of the long winter, but I heard we’re getting hail this afternoon! 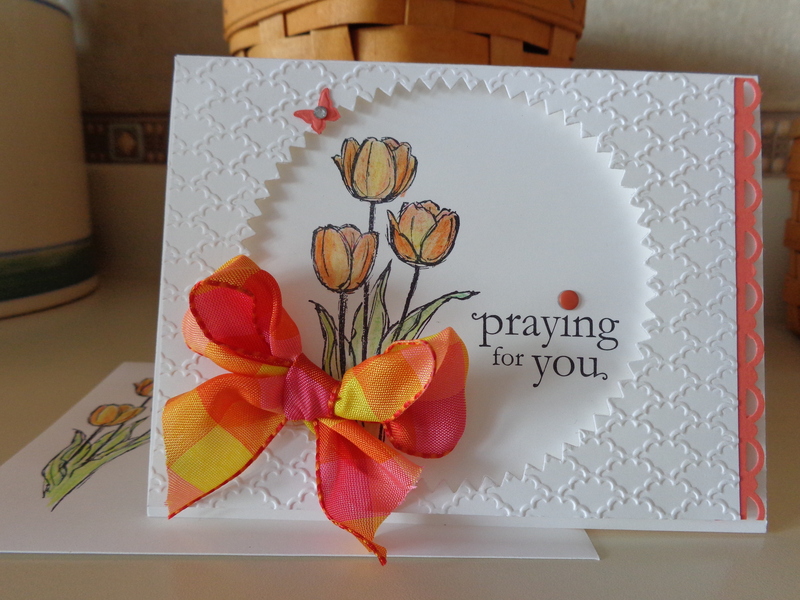 Today’s card is one that I saw on Mary Fish’s blog last Friday, and just loved it. 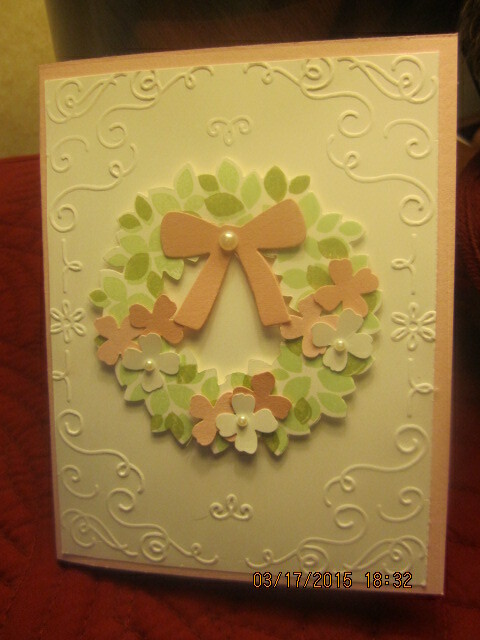 I needed a sympathy card, so immediately CASED it. 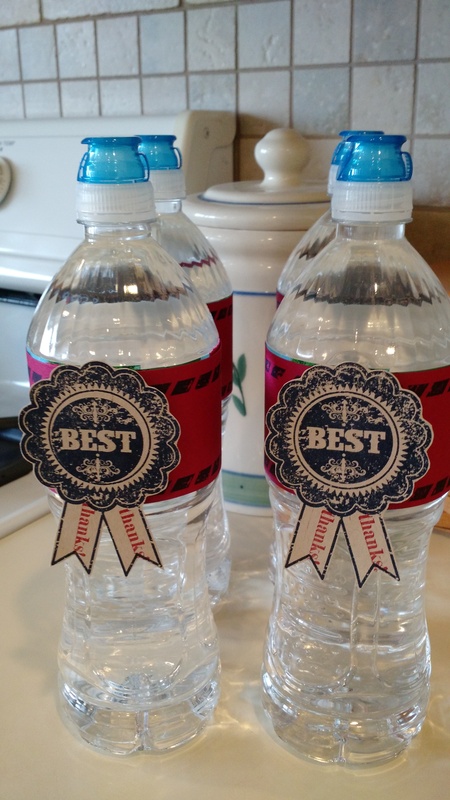 I love that about our hobby…everyone shares so when we don’t have time to sit down and think, we can copy and share! 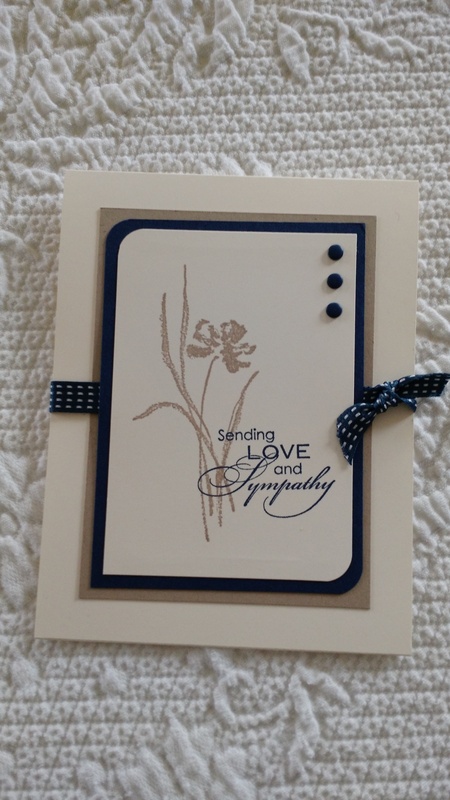 The card is made with the Love and Sympathy stamp set that will be retiring at the end of the month. It’s one of the sets that is a “classic” in my mind…it will never go out of style. I’ll be putting in an order tonight, so if you would like this set, or any of the retiring products, just give me a call! So many memories as I go through my Media Gallery, looking for past projects made with soon to be retired products. 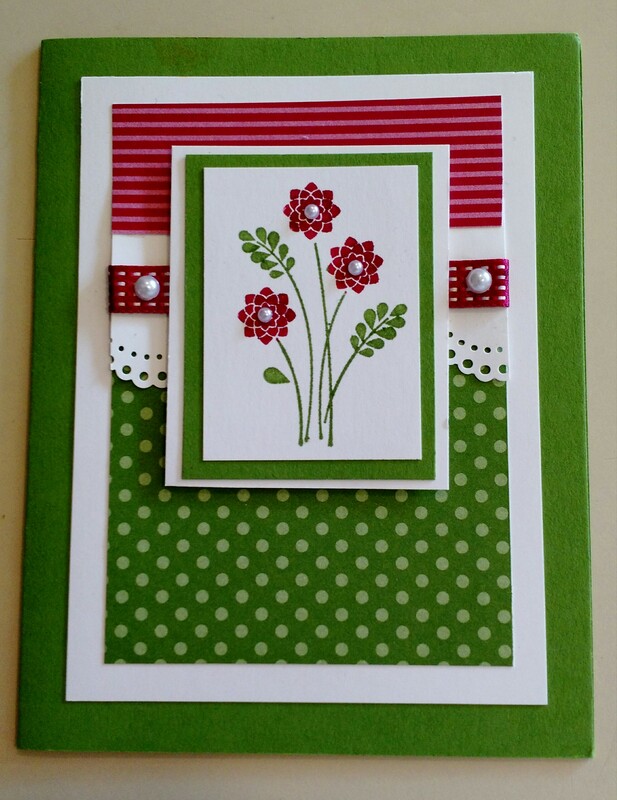 This card, made with one of the Starburst Framelits, was made in the spring of 2014 after our nephew was diagnosed with cancer. He lived over in Holland, hence the tulips! (He passed away right before Thanksgiving this past fall.) We never know what tomorrow brings, so if you don’t have the Starburst Framelits, just let me know and we’ll get them ordered before they are gone forever! (page 231, 2014-15 Annual Catalog). 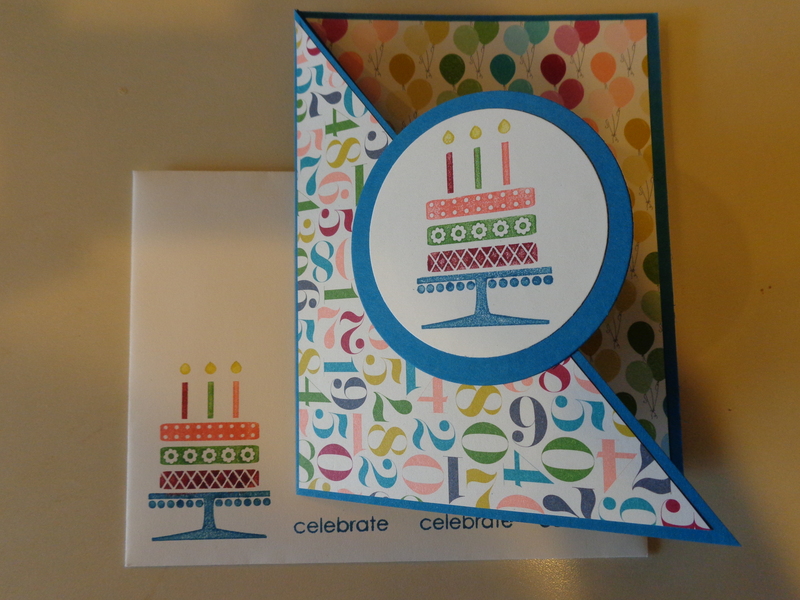 Embellished Events was the very first stamp set that I purchased as a Stampin’ Up! Demonstrator, and this card made with it was the very first card that we made at a Stamping Peace workshop. 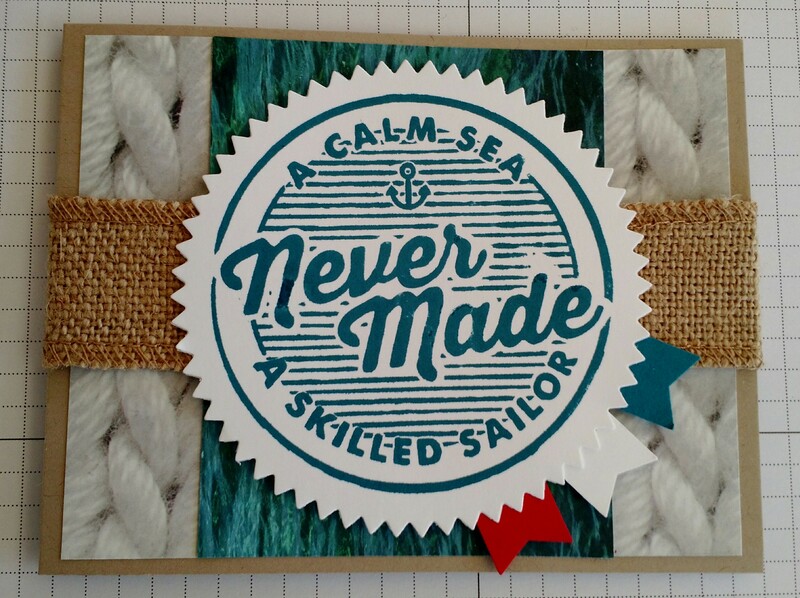 It was about six months after we began workshops that this blog came into being, so this card never made it into the spotlight. 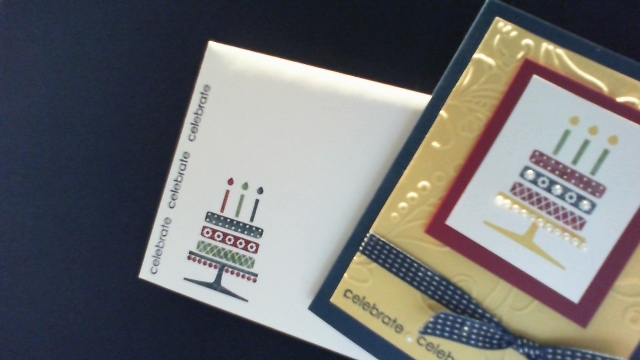 It’s one of my all-time favorite cards, and stamp sets. Embellished Events is on the retiring list, so if you don’t happen to have it and would like to add it to your collection, just let me know and I’ll put in an order before it is all sold out! (Page 105, 2014-15 Annual Catalog). 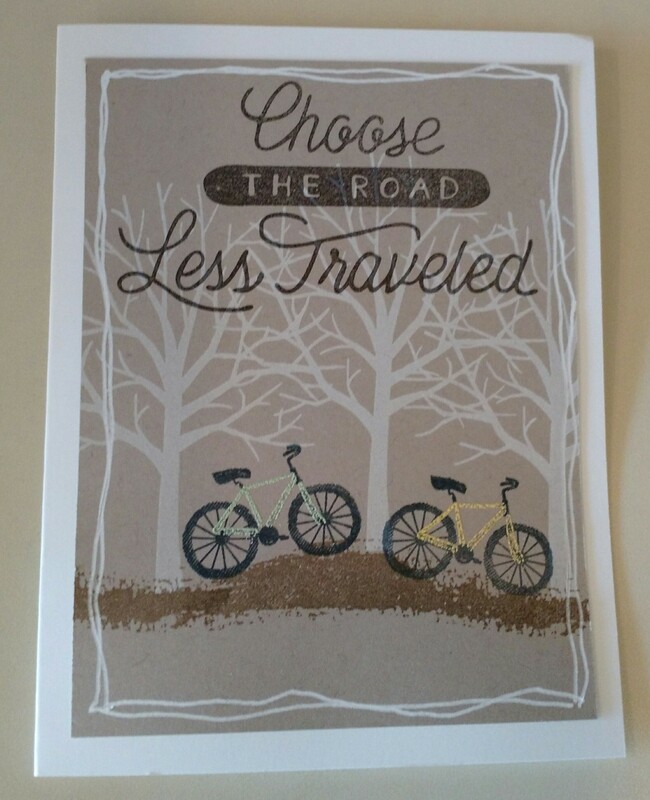 I saw this design on Stampin’ Connection but after I made it, I wondered if it would look less traveled with just one bike? This is the Sheltering Tree Stamp Set and the sentiment is from the new Adventure Awaits stamp set. I used a white gel pen to make the lines around the edges. 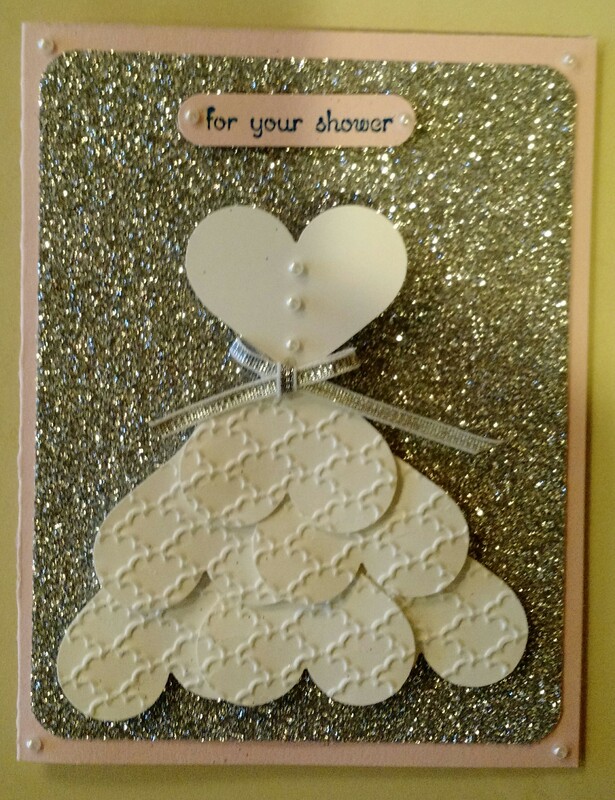 Recently we saw a wedding shower invitation made by our friend Sue Hayes…now she’s back with the card that she gave at the actual shower. 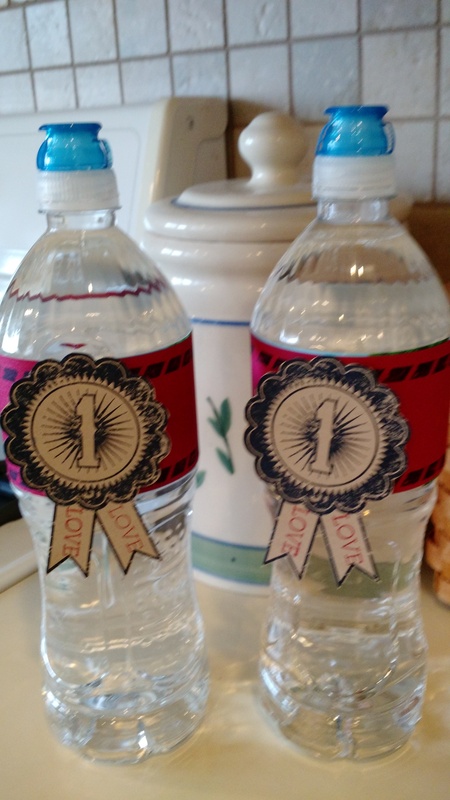 Very clever, Sue!